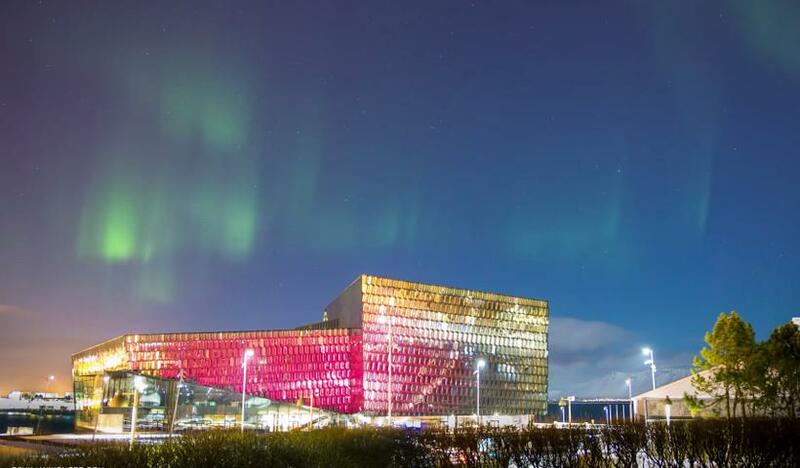 This stunning time lapse was taken by ReykjavikPhoto at the beginning of February during a solar storm, a beautiful interplay between artist Ólafur Elíasson's light sequence in the building's light facade and a natural phenomenon of lights in the winter sky. The realtime of the northern lights display was 1,5 hours and 1650 frames shot on a Canon Eos 6D and Tamron 24-70 VC. Harpa Concert Hall and Conference Centre, situated in the centre of Reykjavík, received the prestigious Mies Van der Rohe architectural award in 2014. Harpa Concert Hall Northern Lights Show from ReykjavikPhoto on Vimeo.